Sandi Dahl grew up on a farm in North Dakota. A graduate of the University of North Dakota, she has lived in her home state for most of her life. 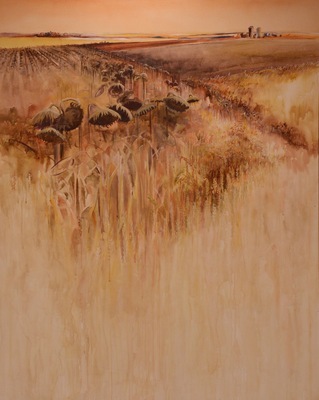 In her painting, The Futures, Dahl depicts a field with sunflowers in bloom and harvest-ready wheat.